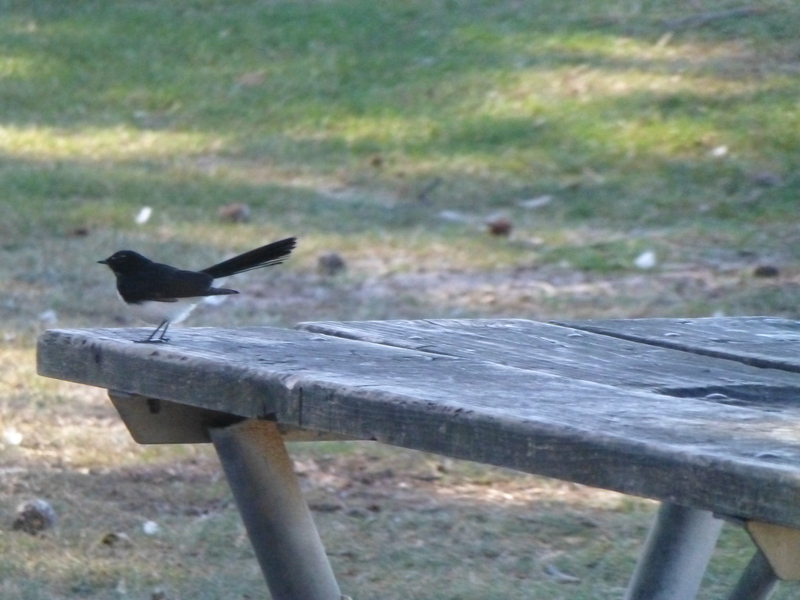 Willy Wagtails are sweet little birds. As their name implies, they wag their tails: quite vigorously, I might add. I have never seen one in our local park, though they are around near Ramsgate Beach ( on the Botany Bay Foreshores) and also at the picnic ground at Sydney’s well-known Cronulla Beach. I would love to see them more often, but such is life. And I can’t complain, since some of the gorgeous birds that live nearby are not seen on my visits to where this little one inhabits.